With Columbus, Cascade, Citra and Hallertau hops, Pale Ale, Vienna and Munich malts. Pours pale golden colour with a small white head. Aroma of hops, citrus, malt, biscuit, flowers and grass. Moderate sweetness, medium bitterness. Moderate body, oily texture, soft carbonation. A nice light citrusy hoppy golden ale. 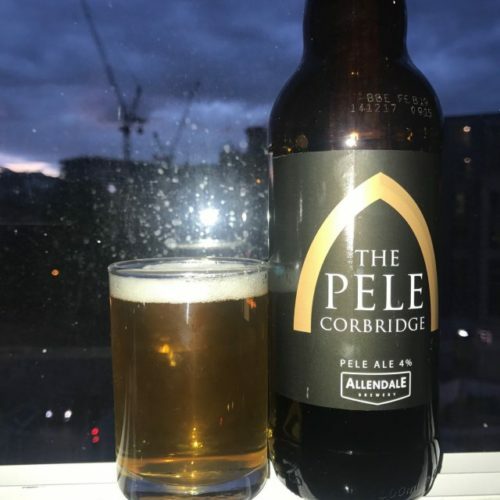 Brewed by Allendale Brewery specially for Corbridge Pele Tower micro pub.